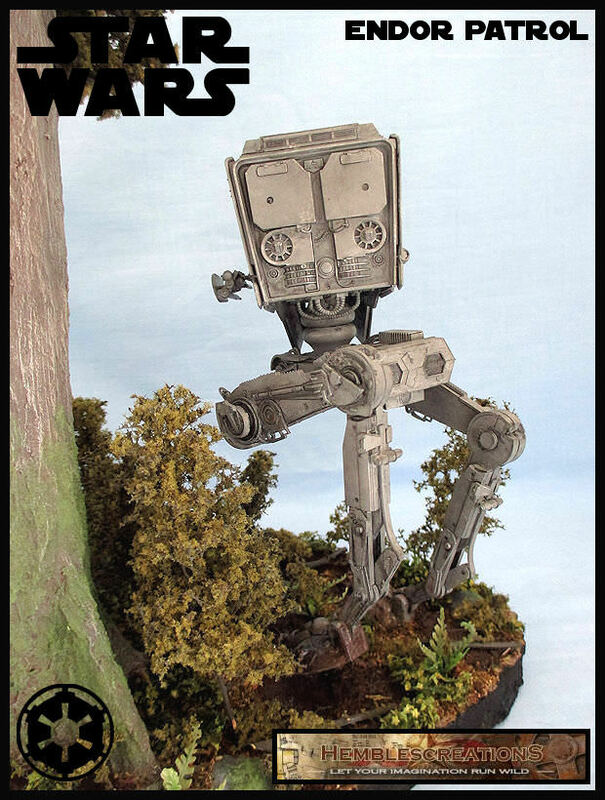 AT-ST & figures- is from Bandai and has been built straight out of the box. 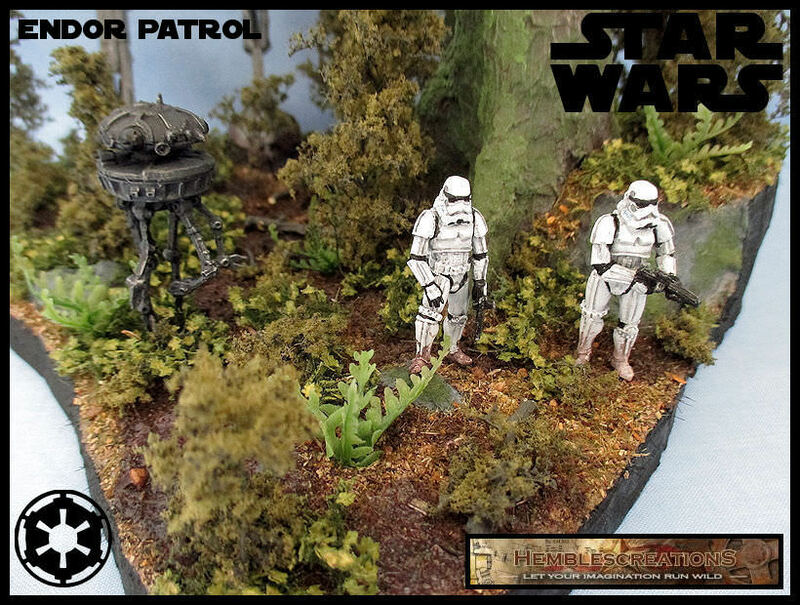 The figures are from the Imperial Assualt box set and the troopers are been modified. 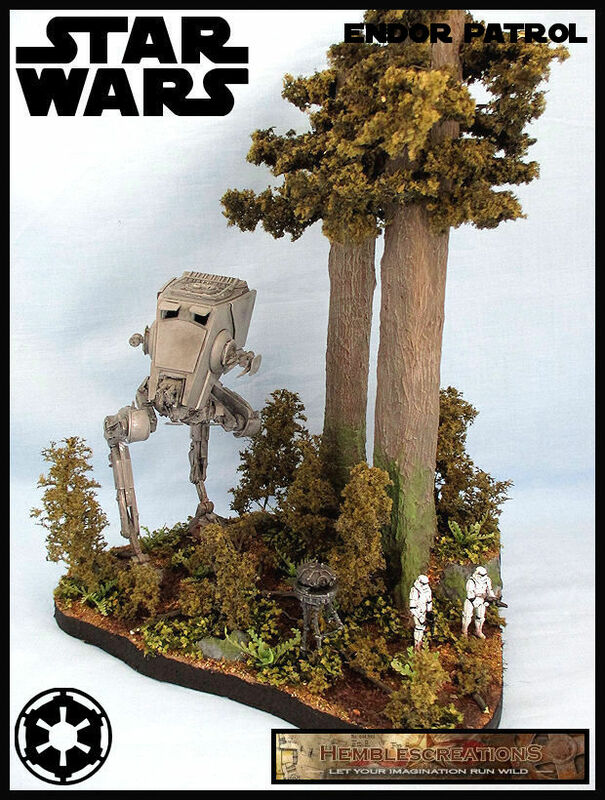 Base - is high density foam and cut out and the trees have been done by using aluminium foil and then spakfilla was used to cover the foil and a wide brush was used to make the bark. 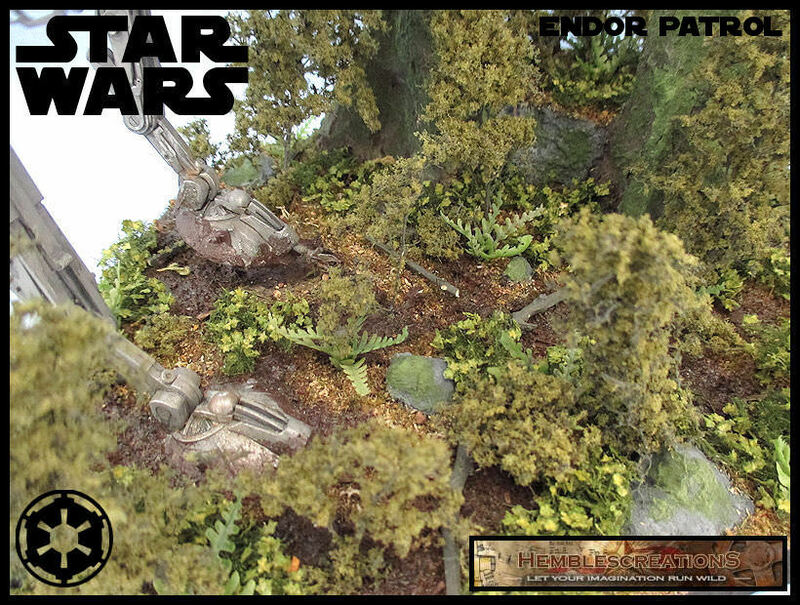 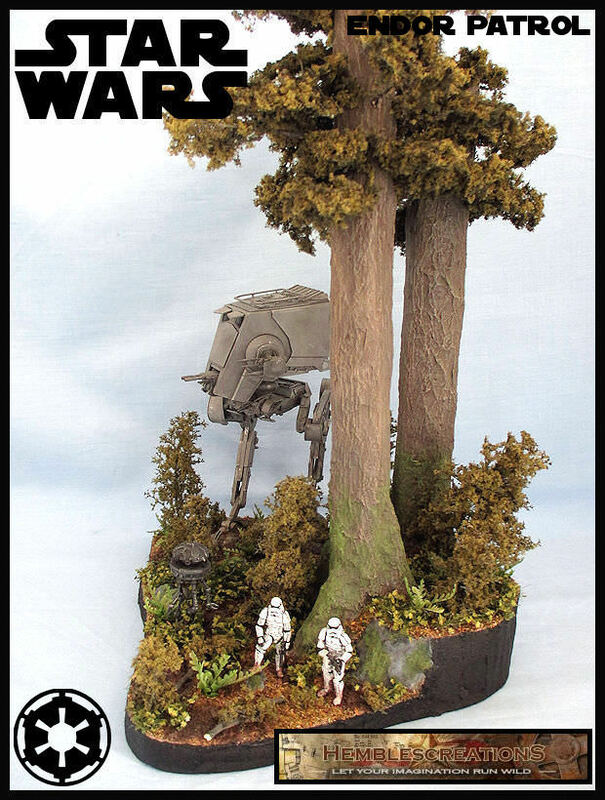 The branches are from Woodland Scenics, I also used woodland Scenics for the smaller trees. 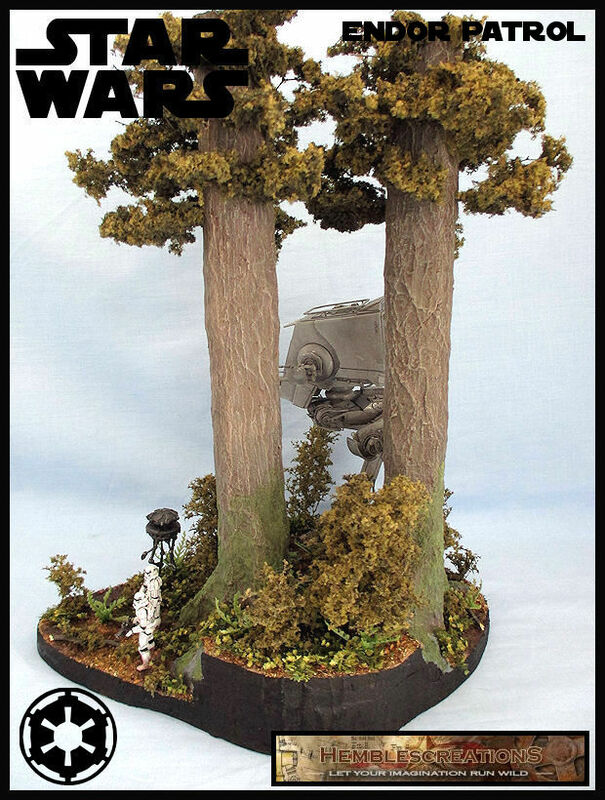 The ground work is spakfilla mixed with dirt and then spread across the base and once dry I used a mix of static grass, ground up leaves, dirt, railway model foam clumps and blended the lot together and glued to the base. 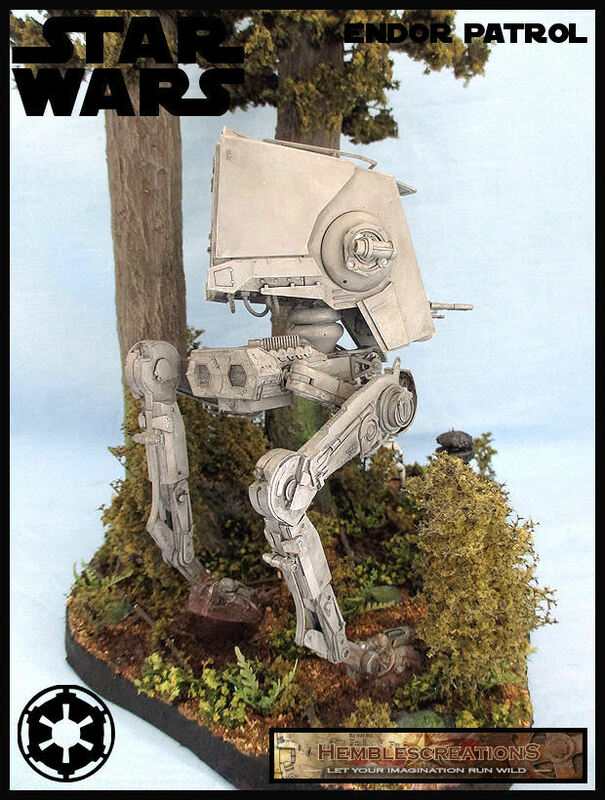 The mud is a mix of spakfilla and paint and it was dapped over the base and once dry I used Woodland Scenics Realistic Water to give it a more wet look. 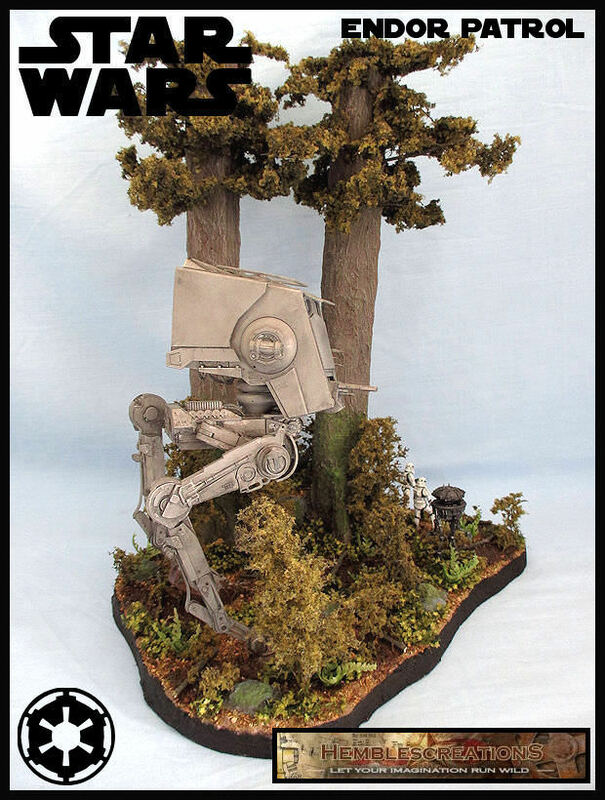 The undergrowth is from a company called MiniNatur and also Army Painter and once applied to the base it was sprayed with Matt Sealant. 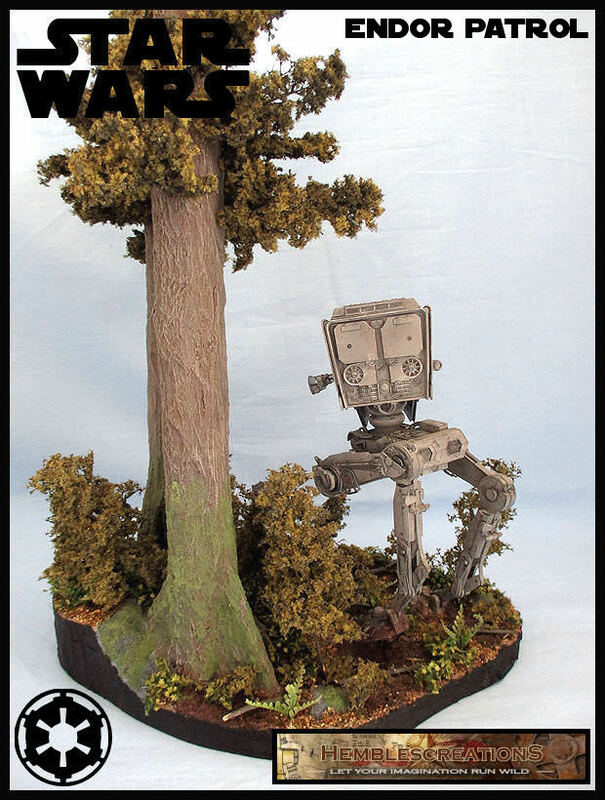 Fantastic dio, the way you have done the size of the trees/trunks and that you added the Probe Droid in there as well. 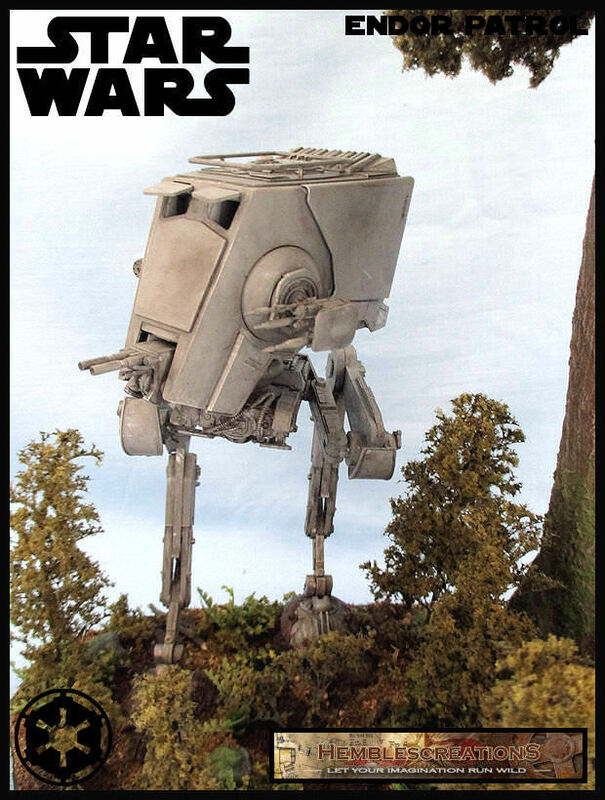 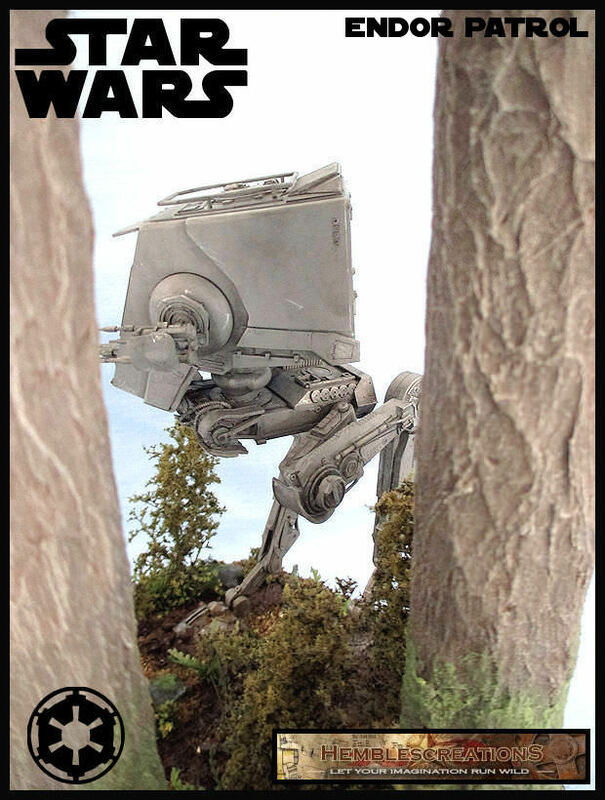 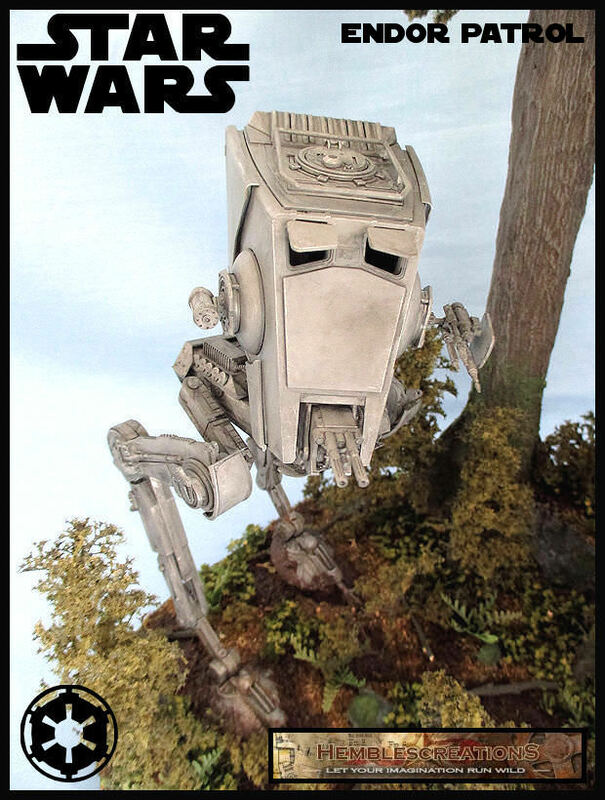 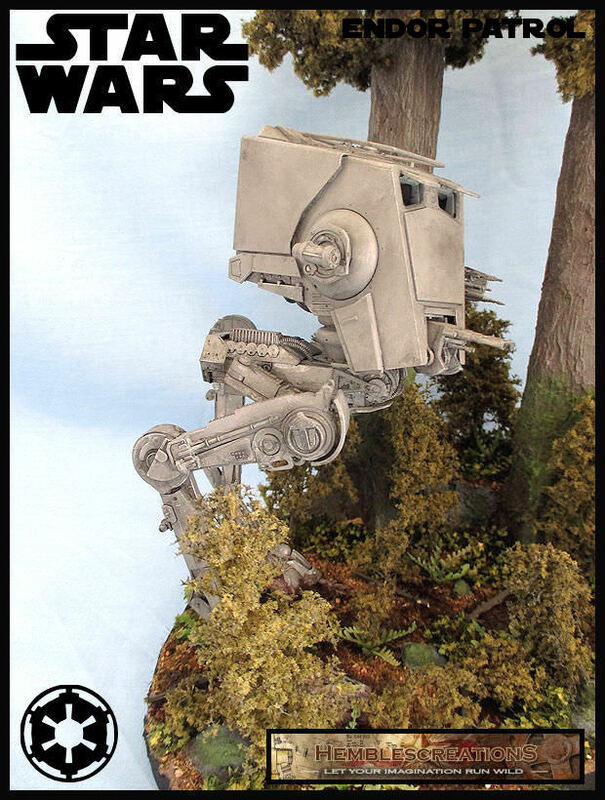 The whole seen is very well done, the AT-ST has a great pose and those little Stormies ......... whats not to love about this!!! 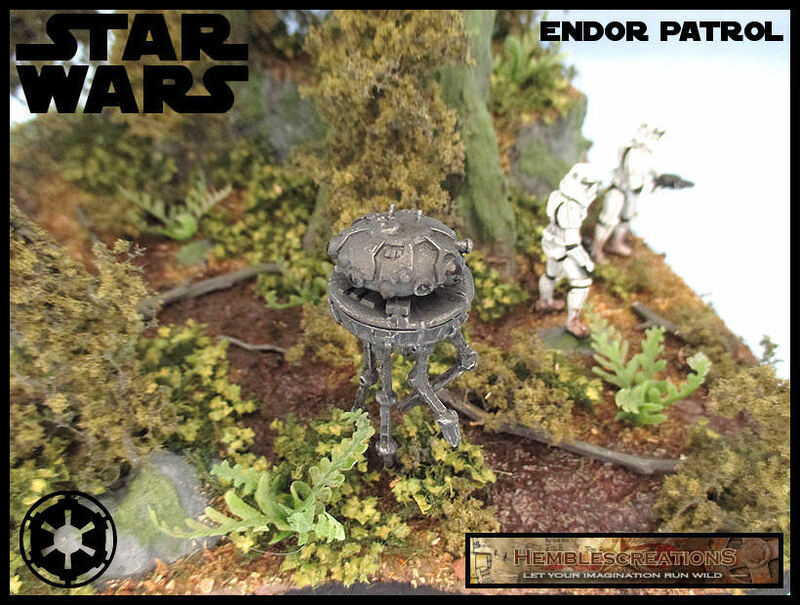 Thanks heaps Peter I really appreciate the comments and sorry for the late reply.